Home > Articles > Raw feeding - Is it safe? Dogs and cats are designed to eat raw foods. Humans are the only species on Earth who cook their food. The benefits we have seen from dogs and cats fed a raw diet has been mind-blowing. Its safe to feed raw bones as they don’t splinter like cooked ones. 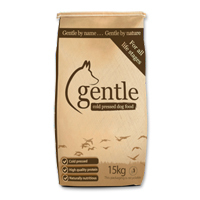 Always ensure you feed bones that are appropriate for the size of your dog and their experience, as you would with any chew you give your dog or cat. The only potential issue would be to our own health. We often handle and prepare raw meat when cooking for ourselves and we all know to wash our hands and kitchen equipment afterwards. The same practice should be done when handling raw food for your pets to eliminate the issue. Simply wash your hands and their bowl. There has been some negative publicity with regards to raw feeding which we feel is misguided and biased. One BBC programme fed a dog some raw meat purchased from a supermarket, then swabbed its mouth to test for bacteria and of course they found some. What they failed to do is test before the dog ate the raw meat, they failed to test a dog fed dry food and failed to point out that the environment of a dog is full of bacteria. Just think of all the places your pet licks (I know its disgusting) so your pets mouth is a breeding ground for bacteria whether they are fed a raw or dry food. Its also worth noting that the dog tested was fed raw meat from a supermarket. The result could have been different if the dog had been fed a commercially produced raw pet food. EU Regulation No 142/2011 sets out the microbiological standards and zero tolerance for salmonella in raw pet foods. Raw feeding is increasing in popularity and bad publicity will always pop up now and again but at the end of the day common sense will prevail.